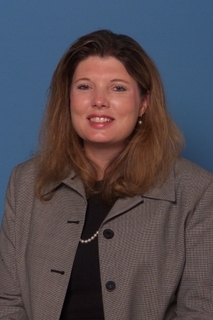 NEWPORT NEWS, Va., Nov. 1, 2004 (PRIMEZONE) -- Northrop Grumman Corporation (NYSE: NOC) has appointed Barbara A. Niland chief financial officer and vice president of business management for the company's Newport News sector, effective today. In this role, she reports to C. Michael Petters, corporate vice president and president of the Newport News sector, and on a matrixed basis reports to Charles H. Noski, Northrop Grumman corporate vice president and chief financial officer. Niland, 46, who most recently served as vice president of finance and controller for the company's Electronic Systems sector in Baltimore, is responsible for directing the Virginia-based Newport News sector's business strategy and processes in support of business growth and profitability goals. She also has responsibility for sector business management functions such as contracts, estimating and pricing, accounting, financial reporting and planning, and analysis, rates and budgets, and program cost control. Niland succeeds Linda M. Leukhardt who was recently named the chief financial officer for the Electronic Systems sector. "Barbara brings a strong financial and business management background to this position and has demonstrated experience in a variety of areas critical to our success," said Petters. "She will be a key member of the Newport News team as we focus on contract execution and customer satisfaction." Niland joined the company in 1979 and has held a number of financial and business management positions at company locations, primarily in Baltimore. In 1995, she was appointed business manager for a number of space systems programs in Baltimore. Later, she was named program director of business management for space systems. Niland was promoted to vice president of finance and controller for Electronic Systems in 2002. Niland earned a bachelor's degree in finance from Towson State University and a master's degree in business administration from the University of Maryland.